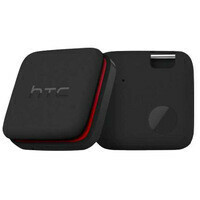 You might recall that last August, we told you about the HTC Fetch. The Fetch is similar to the Nokia Treasure Tag. You attach the small connected device to something that you can't leave the home without, like a set of key rings, a purse, or a briefcase. Using Bluetooth, the Fetch is paired with a smartphone and if the phone moves 15 meters (49.2 feet) away from the Fetch, an alarm goes off. A Google Map will show the last location of the phone and the Fetch device. A button on the accessory will also snap a picture using the camera on your smartphone, if it is within range. 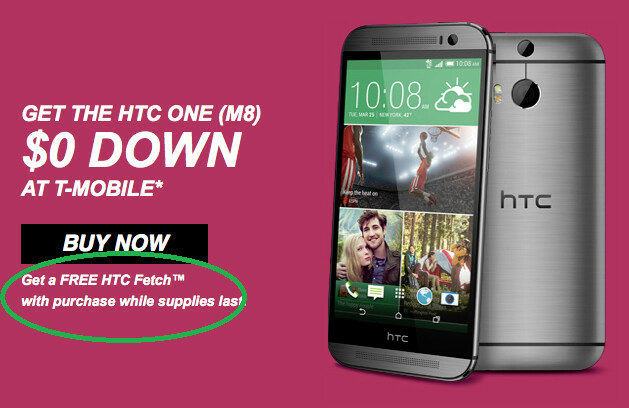 The accessory is priced at around $38, but those purchasing an HTC One (M8) from T-Mobile can get a Fetch for free. The offer is being made via a special email being sent out to those deemed worthy by the innovative carrier. Unfortunately, it seems that T-Mobile didn't include instructions in the email, on how to claim the free Fetch. We would suggest that if you buy the HTC One (M8) from the carrier at one of the operator's brick and mortar stores, you might as well ask for the freebie before you walk out the door. The Fetch is being given away until supplies last, so don't get shut out. That because at least I think T-Mobile gets the least sales for HTC products recently, because they already discontinued the M7 while all of the other carriers haven't. Or probably because they rather just sell the M8...? Stop trying to make fetch happen! It's not going to happen!